The purchase will allow Lithia, a large auto dealership based in Medford, to consolidate its Portland operates, says the company's agent, Richard Baranzano. Hundreds of family-wage jobs are likley to be created on the 14-acre piece of industrial property at 2400 N.W. Front Ave. The Bureau of Environmental Services has decided to sell Terminal 1 to Lithia Motors for $12.5 million — $2.5 million more than the company's original offer. The purchase will allow Lithia, a nationwide auto dealership network based in Medford, to consolidate its Portland operations, said the company's agent, Richard Baranzano. "They now have cars parked all around town and this will allow them to store them all at one location, among other things," Baranzano said. Commissioner Nick Fish praised the sale as an opportunity to create hundreds of family-wage jobs on the industrial parcel at 2400 N.W. Front. Fish is in charge of the Bureau of Environmental Services, which owns the property. "I am pleased that Terminal 1 will be home to an Oregon-based company. This sale aligns with our commitment to maintaining Terminal 1 as prime industrial land and to the city's economic development strategy for the next 20 years," said Fish, noting that the proceeds will be used to hold down future BES rate increases. Six other bids were submitted for the Northwest Portland property, which had been declared surplus by the City Council. A bidding war ensued while BES, which owns the property, was conducting its due diligence, prompting Lithia to increase its bid, Baranzano said. Lithia is a Fortune 500 company and the seventh-largest automotive retailer in the United States. It began in 1946 as a single dealership in Ashland. It now operates 139 stores in 14 states across the contiguous United States, Alaska, Hawaii. The sale was a long time coming. After a lengthy process, BES put it on the market earlier this year, but the council voted 3-to-2 to allow developer Homer Williams to open a temporary homeless shelter in a vacant warehouse there just before the bids were due in August. They ranged from $6 million to $10 million. That was less than Fish thought they would be. 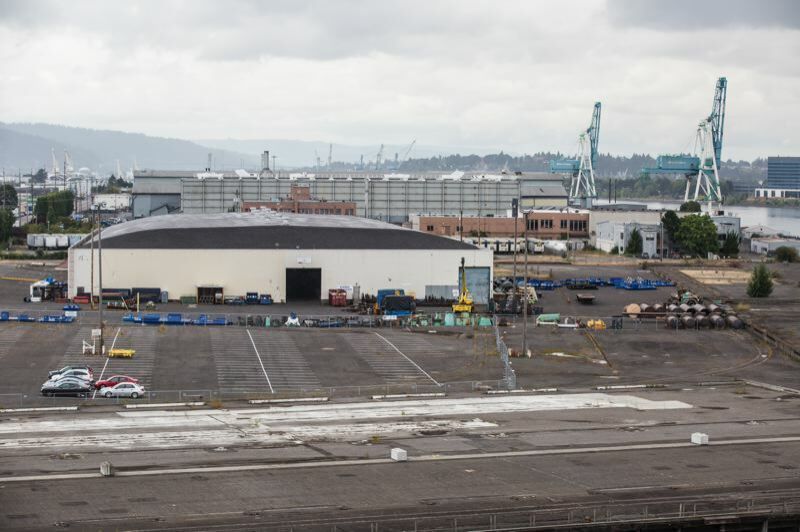 Fish, who voted against the shelter proposal with Commissioner Amanda Fritz, argued the vote for the shelter suppressed interest in the sale of Terminal 1, one of the last large pieces of industrial property in the city. The shelter never was opened at Terminal 1, however. Williams had trouble finalizing his project and raising all the private funds needed to complete it. Commissioner Dan Saltzman, who is in charge of the Portland Housing Bureau and introduced Williams' proposal to the council, pulled the plug on the project in October. The bidding process for Terminal 1 was then restarted in the hope of receiving higher bids. When they came in, the new bids mostly were in the $10 million range. The highest initial bid was from Tandem Development Corp., a Portland development firm, at $10.5 million. The final Lithia bid is $1.375 million higher than any of the others.